← My Daily Spin – What is Tussah Silk, Anyway? I spun some more Tussah silk tonight, then swatched the silk yarn I plied a couple of days ago. 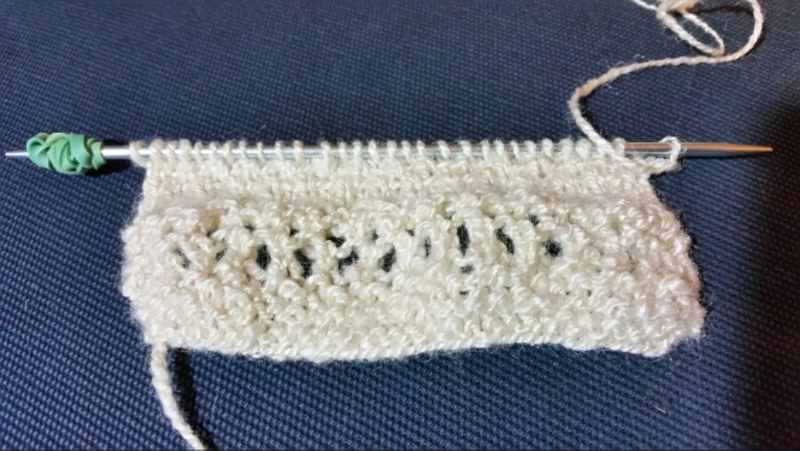 Swatching simply means knitting a sample, which is called a swatch. It gives me more information about the yarn I created. What size needles work best? What kinds of stitches look best? What’s the texture? Is it drapey? Stiff? What does the knitted fabric look like? For this sample, I used size 3 needles, and really it felt lovely as I knitted. I’m pretty happy with the way it looks, which confirms my thoughts about the amount of twist for both the spinning & the plying. I think for the next sample, I’ll use a larger needle and see how that works. This fabric is fairly firm – I think a larger needle will yield a drapier result. This entry was posted in Art, Fiber and tagged Arts, beginnings, creativity, silk, Spinning. Bookmark the permalink.